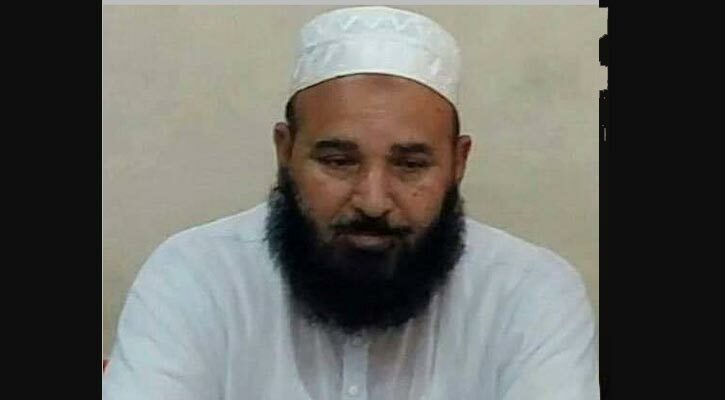 Hafez Abdul Malek, president of BNP front Jatiyatabadi Ulema Dal, passed away early Tuesday. He was 68. Malek breathed his last at Islami Bank Hospital in city’s Kakrail area around 3:30am, said BNP chairperson’s media wing member Sayrul Kabir. He is survived by three daughters, two sons and a host of relatives and admirers. Malek’s first namaz-e-janaza was held at BNP’s Nayapaltan Central Office around 11:15am. BNP Secretary General Mirza Fakhrul Islam Alamgir and standing committee member Khandaker Mosharraf Hossain paid homage to Malek by placing wreath at his coffin and wrapping it with the party’s flag. Sayrul said Malek’s body was taken to his village home at Sreepur in Gazipur. He will be buried beside a mosque, established by him, after his second namaz-e-janaza following Zohr prayers.